The Slovak Republic is a sovereign, democratic state governed by the rule of law. It is not linked to any ideology or religious belief; it acknowledges and adheres to the general rules of international law, international agreements binding to it and other international undertakings. State power derives from citizens who execute it through their elected representatives or directly. The Slovak Republic is a parliamentary democracy. It is a written constitution (composed of several constitutional laws interconnected in terms of subject matter and time); it is rigid (the consent of three fifths, i.e. 90 members of Parliament are required in order to adopt or change it); it is legal (true legal status corresponds with the Constitution, and state authorities can act only on the basis of the Constitution, within its limits, and to the extent and in a manner defined by law); it is unified (the territory of the Slovak Republic is unified and indivisible); and it is republican (the President is the head of state) and democratic (state power derives from citizens who execute it either through their representatives or directly). The Constitutional Court of the Slovak Republic is the independent judiciary body for the protection of constitutionality. The President of the Slovak Republic is one of the three supreme constitutional officials in the country – the others are the Prime Minister and the Speaker (Chairman of the National Council) of the Parliament. The President is elected by the citizens of the Slovak Republic for a period of five years in direct elections by the voters who have the right to elect members of Parliament. No one may serve more than two consecutive terms of office. Any citizen of the Slovak Republic who is eligible to vote and who on the day of the election has reached the age of 40 is eligible to run for president. The President represents the Slovak Republic outwardly and concludes and ratifies international treaties. The President acts as the comander in chief of the armed forces. He/she appoints and recalls the Prime Minister and other members of the Government, and accepts their resignation. Under the established conditions, the President may dissolve the National Council. He/she signs bills into law and can return any act to parliament with comments. The President calls for referendums and has the right to grant amnesty or individual pardons. Ing. Andrej Kiska (b 1963), the former entrepreneur and philanthropist, is the current president. He took office on 15 June 2004. He was elected as a civic candidate. The National Council of the Slovak Republic (the Parliament; until the 30th of September 1992 it was called Slovak National Council) is the supreme legislative body of the state. It consists of 150 MPs (Members of Parliament) elected in democratic elections once every four years. The electoral system is proportional, i.e. the results of the elections and the re-distribution of votes for the MP seats reflect the share of votes for the parties who received at least five per cent of all votes. The voter selects a specific political party but may also grant preferential votes to candidates by indicating them on the list of candidates of the selected party. The MPs acquire their mandate as individuals on the list of candidates of a specific political party, and an imperative mandate does not exist. The MP retains his/her mandate even if he/she diverges from the political line of his/her party, cancels the membership in this party or is expelled from it. Any MP who becomes a member of the Government temporarily gives up the MP mandate and a substitute from the same political party replaces him/her. If a minister resigns or is recalled, he/she returns to Parliament and his/her substitute leaves. The Constitution acknowledges early elections. The last parliamentary elections took place on the 5 March 2016 and 23 political parties tried to win the favour of voters. The five percent margin, which is necessary to enter the Parliament, was reached by eight parties (they are listed according the number of seats acquired): Smer – Social Democracy (Smer-SD), Freedom and Solidarity (SaS), Ordinary People and Independent Personalities (OĽaNO), the Slovak National Party (SNS), People’s party – Our Slovakia, We are a family – Boris Kollár, Most-Híd (Bridge) and Sieť (Network). The government set up consists of – Smer-SD, SNS, Most –Híd and Sieť. The other four parties in parliament are in opposition. Robert Fico became Prime Minister. On March 22, 2018, Peter Pellegrini became Prime Minister. The chairman of the Parliament is Andrej Danko from SNS. In the Parliament there are four vice-presidents (Smer-SD, SAS, Most – Híd and Sieť). According to the Constitution, the Government of the Slovak Republic is the supreme body of the executive power. It has legislative initiative so it can submit to Parliament its own law proposals and is competent to create norms. The Government is liable to Parliament for the performance of its competencies. It can pass a vote of no confidence in the Government at any time. If Parliament passes a vote of no confidence in the Government or vetoes its proposal for a vote of confidence, the President will remove the Government. If the Prime Minister is removed, the Government must resign. It must also resign upon the Prime Minister’s resignation. Individual members of the Government are also liable to Parliament. If Parliament passes a vote of no confidence to a specific minister, the President will remove that minister. The Prime Minister of the Government may also submit a proposal for the removal of a minister to the President and the minister may submit his/her resignation to the President. The current Government was established as a result of the March 2016 Parliamentary elections. There are thirteen ministries: Ministry of Foreign and European Affairs, Ministry of Defence, Ministry of Interior, Ministry of Justice, Ministry of Finance, Ministry of Economy, Minister of Transport and Construction, Ministry of Agriculture and Rural Development, Ministry of Labour, Social Affairs and Family, Ministry of Environment, Ministry of Education, Science, Research and Sport, Ministry of Culture, Ministry of Health Care. The system of courts of the Slovak Republic consists of district courts, regional courts and the Supreme Court of the Slovak Republic. The system of courts also incorporates the Special Court, military courts constituted by military district courts, and the Supreme Military Court. Any citizen of the Slovak Republic who is eligible to vote and who has reached the age of 30 may be appointed as a judge. 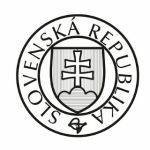 Judges are appointed by the President from a slate of candidates nominated by the Judiciary Council of the Slovak Republic without any time limitation. The President’s competencies also include the power to remove judges based on the proposal of the Judiciary Council of the Slovak Republic due to precisely established reasons. Judges are independent in the execution of their office. If a judge is a member of a political party, he/she must give up his/her membership in this party before entering office. In 2001 a constitutional act introduced the position of the Public Protector of Rights (Ombudsman) into the Slovak constitutional system. The National Council of the Slovak Republic elected the first Public Protector of Rights on 19 March 2002. The term of office is five years. The current Public Protector of Rights is from March 29, 2017 a lawyer and university professor Prof. JUDr. Mária Patakyová PhD. (b.1963). The territorial self-government performs the original competencies in the political, social and economic life of regions, towns and municipalities and part of the public administration, as a rule, in issues of local significance which are not implemented by the state. The territorial self-government is made up of Upper-Tier Territorial Units (the Banská Bystrica, Bratislava, Košice, Nitra, Prešov, Trenčín, Trnava and Žilina self-governing regions), 138 towns and 2,883 municipal authorities. The representatives of the Upper-Tier Territorial Units, towns and municipal authorities are elected for a period of four years. 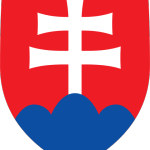 The state emblem of the Slovak Republic is represented by a red early Gothic shield featuring a silver double cross on the middle of three blue symbolic mountain peaks. The national flag of the Slovak Republic consists of three horizontal bands – white, blue, and red. The front side of the national flag of the Slovak Republic features the state emblem of the Slovak Republic. 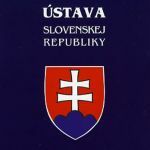 The state seal of the Slovak Republic is represented by the state emblem of the Slovak Republic, with the inscription ‘Slovak Republic’ positioned in a circle around it. The national anthem of the Slovak Republic is the first two stanzas of the song Nad Tatrou sa blyska (‘Lightning Flashes Over the Tatra Mountains’).